In a sentence, targeted advertising is a method of serving ads and other marketing messages to an audience you define. By controlling the parameters of the audience that sees your advertising, you ensure that your limited marketing budget is only spent on the right people. There are many forms of targeted advertising. We’ll start by looking at one of the most effective: retargeting. Get our newest e-book, The Modern Marketing Toolkit for Events & Associations by clicking the button below. Retargeting works by “tracking” visitors to your web properties, then showing them your marketing messages on other websites they visit. Retargeting converts at 10x the average of traditional display advertising because it’s limited to people who already know about your association. Basic retargeting campaigns show an awareness message to anyone who has visited your website, and links to your association’s homepage. That method is still way more effective than non-targeted display advertising, but let’s go a lot deeper with only a little effort. Most retargeting providers offer segmentation. Segmentation enables advertising to visitors of not only your whole website, but of specific pages. Start by building a segment of visitors to any membership related pages on your site. Doing this will ensure your campaign is only seen by people who have demonstrated interest in membership. A visual example of how segmentation enables different marketing messages based on your web visitors' demonstrated interests. Next, build a custom landing page to direct clicks from your campaign. This sounds like a lot of extra effort, but modern landing page builders make it easy. Like, 5 minutes easy. The key to a successful landing page for your campaign is to offer all the information prospective members need, and multiple calls-to-action to enroll directly from the page. This prevents extraneous information from distracting membership prospects and funnels them toward conversion. Retargeting is inexpensive and provides phenomenal returns. Here at Feathr we routinely see 20x, 30x, even 40x ROI on retargeting campaigns, with very little ad spend. Geofencing is a form of targeted advertising that only targets devices within a geographical location you define. Unlike retargeting, you can serve ads to people who have never visited your website. This makes geofencing a phenomenal tool to raise awareness of the benefits of membership at pinpoint locations. We’ve heard from countless associations that are struggling with membership numbers from younger generations. 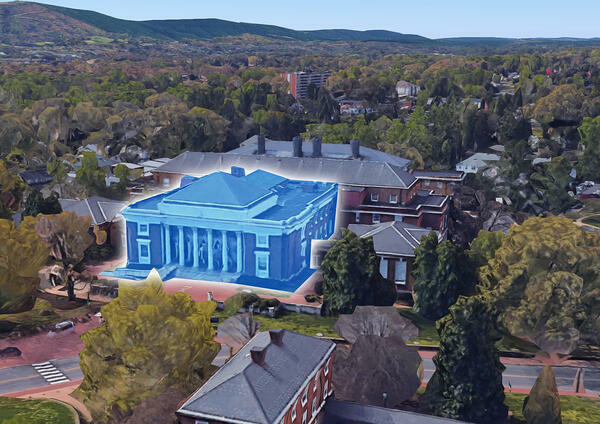 Geofencing a university campus, or even a specific classroom building within a university, gets your membership message in front of student eyes effectively and inexpensively. Run a geofencing campaign at universities with programs well-matched to your association’s focus, include an offer that will resonate with students, and watch your student numbers grow. Similarly, you can target large employers in your industry with membership awareness messages. Geofencing allows you to get super specific in your messaging, since you know ads will only be seen by people at the physical location you choose. Running a geofencing campaign is really as simple as entering an address and letting the software do the rest. And once your member prospects interact with a geofencing ad, you can pull them into your main retargeting campaigns, since they have now visited one of your web properties. Keep in mind you still have to sell them on membership. Because geofencing serves ads to people who may never have heard of your association, an enticing offer is crucial to the success of the campaign. A creative creative for one of ASIS International's 2018 membership retargeting campaigns. Their campaigns earned almost 500 conversions, of both new and renewing members. Retargeting is possible to people who have never visited your website as long as you have their email address. Most likely your association has an email list you use for email marketing. Expanding your email marketing efforts into another channel by using retargeting adds another touch without pestering your prospective members’ inboxes. Studies show 10 or more touches are required before qualified prospects will engage with your marketing efforts. They shouldn’t all be emails. To retarget using email mapping, simply upload your email lists into your retargeting provider and it will match the addresses with the cookies required for tracking. From there, you can include prospect emails in your membership retargeting campaigns.